If you ask anyone to name their top favorite things about East Dallas, the neighborhood’s abundance of local businesses and restaurants is sure to be at the top of their list. This week we had to privilege to sit down with our friend and fellow East Dallas resident Matt Stafford, owner and founder of Free My Music in Lakewood. 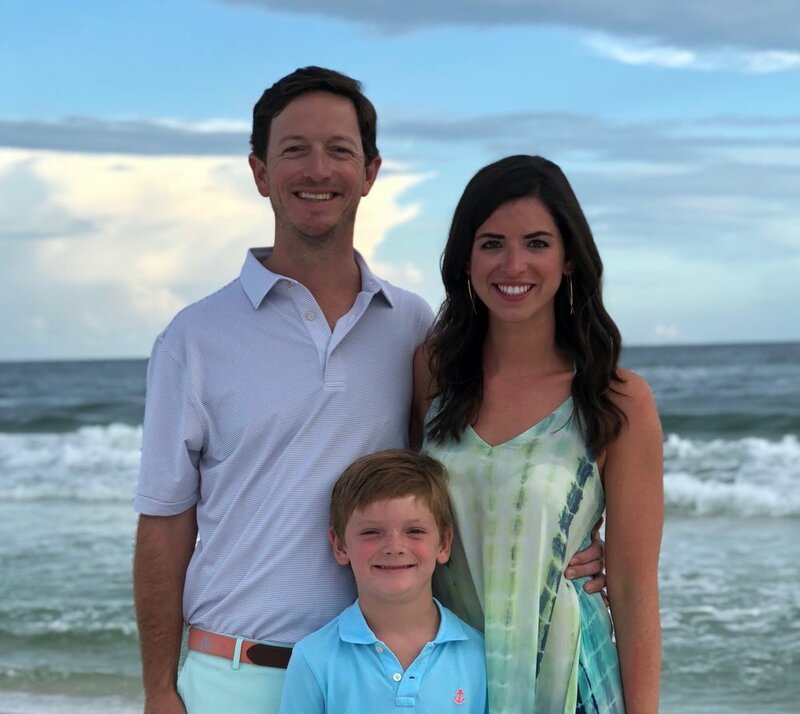 Matt has a background in architecture and a deep love of music and we asked him to share some of the most popular current trends in home tech. Voice, Voice, Voice — Alexa, Google and Apple Siri (HomeKit) are continuing to gain in popularity, with 98% of respondents saying they have positive experiences with voice. Moving beyond the standard “Google, what’s the weather?” and “Hey Alexa, Play Beyonce”, by incorporating additional smart home hardware, users can issue spoken commands to their lights, shades, temperature and complete entertainment systems. The recent addition of “Routines” in the Alexa puts true, multi-disciplinary automation in the hands of the end-user, and has been a very exciting development in the Smart Home world. What customers choose to do with this technology is really only limited by their imagination…and ultimately their budget! Securing the Perimeter — Smart Doorbells from Ring and Nest, along with locks from Yale, August, Kwikset and Schlage give homeowners a sense of security and control for their front (and back/side/garage) doors. 2-way communication, alerts, theft deterrence and video recording are all benefits of these systems. If users require more security around their homes, they can integrate cameras from the same brand as their doorbell (ie. Nest/Ring) so they have a comprehensive security solution in one easy app. Installing inside smart cameras is fairly straightforward, but exterior cameras often require a professional to install/configure…and good wi-fi (see #4 below) is always a must. Lighting the Way — In addition to music, smart lighting is becoming easier (and cheaper) to implement than ever before and can give users scene control, sunrise/sunset automation, voice activation and geo-fencing so they never come home to a dark home. Lutron has been the predominant innovator in this space for 20+ years and they have a product line that ranges from the affordable (Caseta), to the highly functional (RA2/Select) to the complex and full-featured (HomeWorks). Also, recent start-up company Brilliant just won awards at CES 2019 and offers a unique, affordable and elegant solution that’s worthy of consideration. Users agree that the sense of security, comfort and entertainment value that automated lighting offers is well worth the investment. Wi-Fi of Champions — As our laptops, tablets, phones, TVs and smart devices consume more and more data and 4K video proliferates, a good solid data network and wi-fi has never been more important. For the best performance, homeowners will definitely want to move beyond the wi-fi built-in to their ATT/Spectrum routers. There are a myriad of consumer-friendly wi-fi solutions out there (eero, Google, Linksys, etc.) that offer multiple wi-fi “access points” for 2.4 and 5G networks and are fairly easy to set up. Features to look for in selecting an upgraded wi-fi solution: a high grade router, robust security capabilities, ability to hardwire access points w/Cat5/6, amount of simultaneous users supported and # of antennas (2x2 vs. 3x3). Those with slightly higher budgets (and less free time) can opt for a professionally-installed commercial-grade wi-fi solution by brands such as Luxul, Araknis and Ubiquity, which offer the ultimate in performance and reliability. Let the Music Play — Last but certainly not least, at the end of the day most homeowners just want to kick-back and enjoy high-quality music with their friends and family. On the hardware side bluetooth speakers are certainly an option but users looking for a more robust “whole house” solution upgrade to wireless systems such as Sonos that offer connectivity to multiple users in multiple rooms. On the music content side, full-featured subscription services such as Spotify, Apple Music and Tidal allow users to enjoy the proverbial “any song, anywhere, anytime”, and provide a ton more value that simply streaming from Pandora, YouTube or Sirius XM — plus considerably better bit rate/sound quality. Also, with Sonos users can integrate high-quality portable speakers with a home’s built-in architectural speakers for amazing sound everywhere — party on Wayne! Want to learn more about how you can add some of the latest tech trends to your home? Visit with Matt and his Free My Music team so they can show you all of this technology at their store, located in heart of Lakewood Shopping Center. The temperatures are going to drop DRAMATICALLY this weekend. Windchills expected to be in the teens and actual lows in the 20’s! Heat Your Home: Keep the temperature inside the house at 65 degrees or more. The reason for this is that it’s significantly colder inside the walls, where a home’s pipes are situated. A home that has it’s temperature less than 65 degrees may provide an opportunity for pipes to freeze. Additionally, don’t forget to leave doors to bedrooms and bathrooms open. Don’t forget to set the thermostats on any vacant income properties as well. Know Where Your Water Shutoff Is Located: In case a pipe does burst, it’s important to know where the house’s main water shutoff is located. Homeowners should be certain they know how to use if necessary. Many water shut offs require a water main key to open. These can be purchased at your local hardware store. Know where your key is and how to use it. Protect Your Pipes: Make sure all pipes are well insulated, especially outside. You can purchase faucet covers and pipe insulation at your local hardware store (or at the Skillman Home Depot, aisle 8 :)) If you notice that your faucet isn’t working, call your water company immediately. It’s also a good idea to open your hot and cold water faucets and let them slowly drip. When water is moving inside pipes it will prevent freezing. Know Your Fire Safety: Keep a fire extinguisher on hand and make sure everyone in your household knows how to use it. You are at a higher risk for a house fire if you use alternate heating sources, especially if they’re not well-maintained and monitored. Winter is also a great time to start using your fireplace again, but make sure you’re flue is open and you don’t leave your flames unattended. Reverse Ceiling Fans: Pull that anonymous string on your ceiling fan to reverse it. This will push warm air down and keep air circulating. The blades should be turning clockwise this time of year. Test and Check Batteries: Test and replace batteries on smoke and carbon dioxide detectors! Don’t Forget Your Fireplace: We don’t use them a lot in Texas, which means it is easy to forget proper fireplace etiquette. Make sure your flue is open, if your fireplace has a gas key it’s important to add the flame first (we recommend a long reach match) then turn the gas on. If you need firewood, stock up now and keep it in an easy to reach place. Foundation Vents: We always recommend that you to remove these! And generally, these should be off throughout the year to allow the dirt under your home to stay dry. However, in cold weather, it’s a good idea to put these on to insulate the pipes under your home as much as possible. The Heather Guild Group loves being a resource to each of you for all things HOME! Stay warm this weekend! Considering buying or selling a home, but wondering how the current buyer’s market affects that decision? We all hear the term “buyer’s market” bandied about on news programs and in the media, but what does it really mean? Typically, a buyer’s market refers to a 7-8+ month supply of available homes. Making the assumption that homes continue to sell at the current rate and assuming that no new homes come on the market, it would then take 7-8 months for ALL of the homes on the market to sell. Historically, this large of an inventory has shown that the supply of homes outweighs the demand for homes. So, what do you need to know to take advantage of this market regardless of whether you need to buy or sell? Most importantly, everyone must realize that even though there may be a lot of homes on the market, the percentage of well-maintained, move-in ready homes is low. I recently toured 15 properties with a client. Of those, only one was occupied and/or had furniture in it. Buyers, if you want to buy one of these homes, you need to be prepared to make an offer. Don’t wait or someone else will buy it. Want to buy one of the vacant properties? Be prepared to find a laundry list of maintenance items that need to addressed on the inspection report. After all, if the homeowner couldn’t afford their mortgage, they probably weren’t servicing their HVAC on a regular basis. Sellers, make your home move-in ready for the next buyer. Do an inspection prior to putting it on the market and fix the items on the report. Declutter and stage your home so that it looks large and welcoming. These efforts will be well worth your time and money. 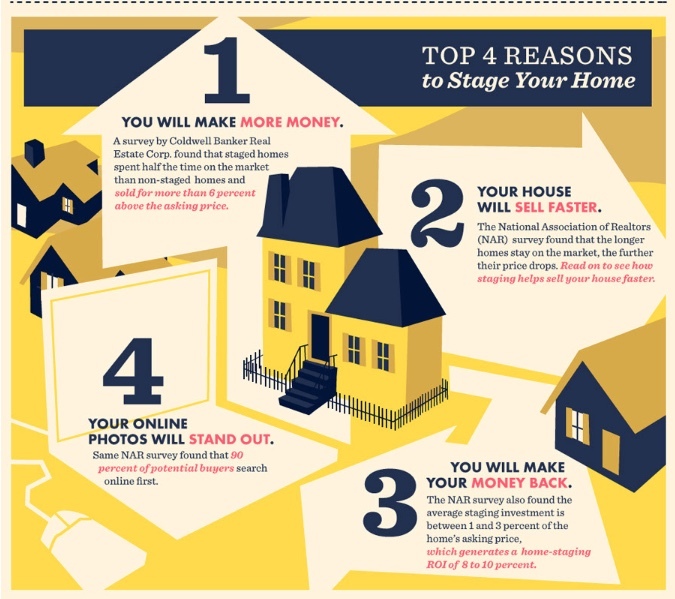 If you’d like more tips on taking advantage of this market, don’t hesitate to give me a call. I’m here to help you with your home buying, selling or investment needs. Over the past year, I’ve had my home and car broken into. Well, technically the garage door of my home was open, so instead of “breaking and entering”, the thieves just “entered”. Either way, it was not a fun experience and has made me more aware of my safety habits. Get a new TV, X-Box or Sonos this Christmas? Don’t advertise your new goods to thieves. Break down the boxes and make sure they are well covered in your recycle bin. Do not place empty boxes advertising expensive new toys on the curb for trash pick up! Don’t make it obvious you are out of town. Keep your shades in their normal position. Set timers on lights so that they come on a different times of day (a number of companies offer “smart bulbs” that you can control from your phone to make this really easy!) Stop your mail and newspaper. If you do plan to be out of town, ask a neighbor to monitor your house while you are away and collect any packages or alert you to anything unusual. Asking a neighbor to park in the driveway on occasion is also a great idea. Most burglaries occur between 10 am and 3 pm, when homeowners are away from the house either at work or running errands. Make sure you lock your doors, even if you just leave for a few minutes! Install a RING doorbell or other video security system. It may not prevent the theft, but it will provide important information to the police. Is your Christmas tree sitting in the front window with presents on display? Consider putting gifts under a secondary tree out of view from potential burglars. Make sure your home is well lit and that shrubbery is trimmed - don’t give thieves a dark place to hide! Be aware of what you are posting on social media. Don’t post about expensive new gifts or travel plans. It’s tempting to leave gifts in your car until you can wrap or hide them. Don’t! If you park outside, make sure you car is empty of all items that a thief could mistake for a big score. Have packages shipped to a business address. The majority of the thefts in our neighborhood are from porch thieves. Send anything you need before the holidays to your office for safe delivery. A HUGE thank you to Ashley Bell Interiors for sharing her thoughts on how to decorate your home for the holidays with us! Ashley may now live in Colorado, but her tips are timeless and work wherever you call home! We’re already a week into December (I know…where does the month go?!?) and if the idea of decorating your whole home for the holidays is a bit overwhelming, you’re in good company. Just like anything else that seems daunting, start by honing in on that one thing that can be your catalyst for all your holiday décor. It could be a color, an ornament you saw in a store, a certain heirloom piece, a Chip and Joanna Gaines episode (although please don’t try to put shiplap on your tree) ;), art the kids brought home from school…there is inspiration EVERYWHERE. I’m not a big fan of design “rules” as it is but I feel like especially with Christmas décor, anything goes. Perhaps that’s why it can be so overwhelming. Choosing to start with one thing and then bringing whatever that is in various ways throughout your house is a much easier strategy that will hopefully leave you feeling the spirit of this glorious season and not pulling your hair out (that’s for when the in-laws come). What do I mean? Ok. For example, I found these cone trees a couple of years ago and fell in love. Instead of buying a few and adding to all the other random Christmas décor I had in boxes…I waited for them to go on major sale and bought more than I care to admit. However, what that did was give me a common theme to bring throughout our home. I have them in every single main living space (and kitchen, bedrooms, etc.) but decorated them with the colors I wanted to bring into each of those rooms. In the living, dining and kitchen I added turquoise and rose gold accents to match the color scheme in those rooms. In the den, I kept them more neutral and in the playroom, I surrounded them with lots of fun colors for the kids. What I did with the cone trees can apply to anything. Say you want a more natural approach. How about something as simple as greenery? Greenery that you bring throughout your home by placing some on each mantle, some in a big vase on the kitchen counter, along the banister, a wreath hanging on your backsplash or on your shelves, little sprigs in small bud vases on a stack of books and so on. To me, one of the easiest and budget friendly ways to spread Christmas cheer throughout the home is ornaments. You can buy boxes of them in colors that match each room, a few colors that you carry all throughout the home or even just one single color. You can use ornaments in so many ways, a quick Pinterest search will have your head spinning. The simplest way is to get a large bowl and just pour them in. If you want to be more festive, add a small string of those tiny LED lights or some magnolia leaves/greenery. I had votive holders on my mantle that are there year round and they were the perfect “perch” for an ornament in each. Candlesticks are another great place for ornaments to hangout. Even those succulent arrangements (inside and out) that we all have can be a great opportunity for a little holiday pizazz. I’m going to have to copy that first pic on the top left from Debra Lee Baldwin – talk about a great décor project for the kids to jump in and help with! In the end of course, there is no right or wrong way to decorate for Christmas. If you pulled it all down from the attic and are looking at the pile with a thousand yard stare, one of the best things to do is to lay out everything you have and edit. EDIT. Cut out anything you haven’t used in the last 5 years (other than family keepsakes of course) and donate it. Less is more. What a great thought to end this post with during the season of packed schedules and endless Amazon purchases. Less is more. Merry Christmas and Happy Holidays to you and yours! The calendar says October, and Halloween is tomorrow…surely all of this means that fall weather is right around the corner (we hope!). Before the cold weather moves in, it’s important to get your home ready for fall and winter. 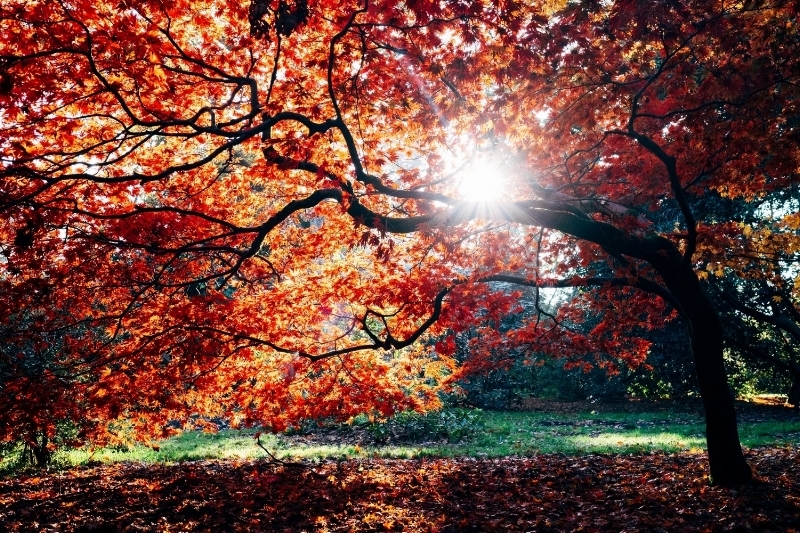 We’ve put together a fall home maintenance checklist to help you get started. Hire a chimney sweep to clean and inspect chimney – Make any necessary repairs and understand how to properly light and vent your fireplace. Service HVAC – Texas homes typically run on electric air and gas heat. It’s important to have the heater checked and serviced prior to turning on the heat this winter. Test and change batteries in smoke detectors. Replace bulbs in outdoor light fixtures – it will soon be dark when you get home from school and/or work. Consider setting one or two lights on timers or motion sensors. Our hearts and minds are with the East coast this week as they prepare for Hurricane Florence. It was while living in Durham, North Carolina as newlyweds that John and I learned being prepared for storms and natural disasters is important and not to be taken lightly or for granted. The first winter we lived in North Carolina, a debilitating ice storm hit the city and we were without power for over a week. On our second morning without power, we woke to a tiny little apartment so cold that you could see our breath - with no fireplace or electric heater we were starting to become concerned for our safety. We were fortunate that while trying to determine how we would stay warm until our power was restored, John’s school sent a message welcoming students to bring their friends, families and pets to the school. The school was on the same power grid as the hospital and thankfully, had power. This experience made a strong impression on us and motivated us to be more aware and better prepared. While Dallas isn’t directly impacted by Hurricanes we see our share of natural disasters and storms. Over the years, John and I have compiled a list of items we like to have on hand during an emergency or power outage (and if you live in East Dallas, you’ll surely lose power every now and then!). Gas - if you know that a significant storm is coming, go ahead and fill up your car with gas. Make it a practice to never let your car get below ¼ tank in the event something requires you to leave immediately without planning. Water - the CDC recommends that you store 1 gallon of water per family member/pet per day and that you are prepared with a 3 day supply of drinking water. Purchase emergency water packs from the American Red Cross or simply keep a few jugs of water stored in a cool, dry place. Food - It’s always a good idea to have high-protein, non-perishable items on hand in your pantry. My brother stopped for emergency food supplies on his way home from work right before Hurricane Ike and was only able to find beer, pretzels and cereal bars! Want to be extra prepared? The American Red Cross also offers a 72 hour food supply kit. Emergency Kit - it’s easy to put together your own food and water supply, but if you buy nothing else from the American Red Cross, purchase one of their Emergency Kits. These will include a hand-cranked radio, flashlight and batteries, breathing mask, emergency blanket and more. Coffee - a French Press will allow you to make really good coffee without power, or keep it simple and keep few instant coffee packages on hand. Chargers - keep a handful of “all-in-one” chargers powered up so that you can easily plug in your phone or tablet during a power outage. Lights - we like to keep a few book lights with our emergency kit so that we can all read without holding a flashlight! 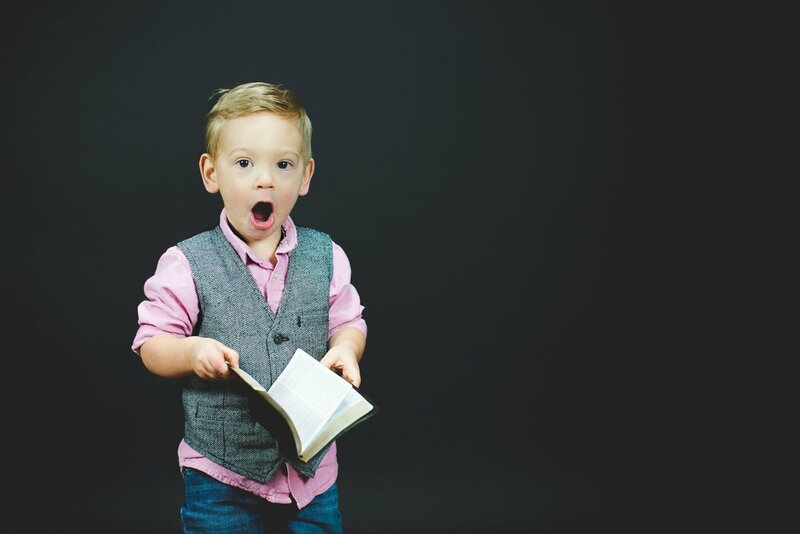 Books and board games - teach your kids what the “old days” were like with hand-held books and old fashioned board games! Red Wine - as much as you can possibly keep on hand...plus it doesn’t need to stay cold. Being prepared to shelter in place is an important component of any family safety plan, but regardless of how prepared you feel you are to weather a storm at home, it’s imperative that you heed the advice of local authorities as it pertains to evacuations and other emergency procedures. With that in mind, here are five of my favorite things the experts are saying we should expect to see more of this year. Have you been feeling like your all white kitchen is lacking something? Well, you are obviously not alone. This year, the number one trend that I’m seeing across the United States, and even across the pond, is a move toward color in the kitchen. While white kitchens are still popular, we are seeing a huge move toward adding color. I think this has something to do with the overall trend of homeowners looking for a hygge (pronounced HOO-GAH)-or cozy feel in this uncertain world. Now, this doesn’t mean that kitchens will be moving back to the dark woods and Tuscan looks—those are apparently gone for a while. But it does mean that homeowners are asking for things that will help warm up the white, like colored islands and warm fixtures. Wood countertops on islands and adding wood beams to ceilings are also great ways to make the room feel less stark and more welcoming. 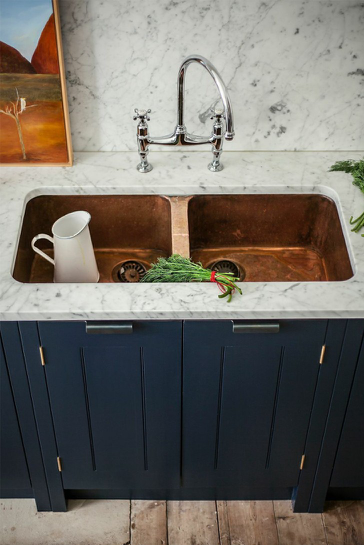 According to Houzz, we can expect a move toward using more dark-hued concrete, stone, copper, and granite composite sinks in place of the traditional white or stainless steel. I especially love the way the warmth of the copper sink sets off the coolness of the Carrera marble in the photo above. That mixed with the blue cabinets creates that warm yet modern vibe. Why going boring when you can wow with your floors? That seems to be what homeowners are thinking lately. Personally, as much as I love the look of a patterned floor like the one above, this is the one trend I would have trouble getting on board with for my home. It’s just so hard (and messy!) to rip out and replace a tile floor and I tend to change my décor often. But if this is your jam and you can live with it for a while, go for it! You will definitely get a huge design bang for your buck with this one. Again, homeowners are moving away from stark and toward interesting. A fun and easy way to do this is using a pattern in your backsplash. This doesn’t mean you have to go crazy with color and pattern (although you certainly can!). Using white tile with an interesting shape can be just as impactful and less risky. I recently installed a white hexagonal tile with charcoal gray grout in a kitchen and it turned out beautifully. The kitchen above is a great example as well. So there you have it! These are my favorite trends for 2018 and the ones I think we’ll see in this area the most. Overall, the trends in building and remodeling are echoing those we saw in the paint color trends—a move toward warmth and character in our materials, and in our homes in general. Stay tuned…my next post will feature design trends for décor. Spoiler alert—cozy and interesting are in! Who wouldn’t want to wake up to this view? Wondering how much water your lawn needs in this heat wave? We were (especially after opening our own water bills this month!) and we reached out to our favorite, local, East Dallas gardening expert for her recommendations! "Your lawn needs between 5 and 10 minutes of watering twice a week at the most to remain healthy, says Courtney Esposito of Bee Contained, "Overwatering your lawn is not only wasteful to your pocketbook it is wasteful to our most precious resource." The City of Dallas passed a Water Conservation ordinance in 2012 which limits "non-essential" watering to twice a week. This ordinance is in effect starting April 1 and runs through October 31st. Since the water conservation program began, Dallas has decreased the number of gallons used per capita/per day by 22% - a number that really makes an impact when you think about how much Dallas is expected to grow (and how much water we will be using) over the next 10-20 years! Variances may be given for new landscaping that needs additional watering to take hold and residents are permitted to use soaker hoses and hand watering at their discretion. Our friends at The Richards Group just launched their third iteration of the Water Is Awesome Campaign for the City of Dallas and the Tarrant Regional Water District. The goal of this year was to get residents to sign up for weekly watering advice. The watering advice uses weather stations from all across Dallas/Fort Worth to give you a precise amount of watering for your zip code. To sign up go here. How do you conserve water when it's this hot outside - we want to know! Send us your own tips and tricks. What to do in Dallas when it’s HOT! One of the reasons I love living in Dallas is that there is always something fun and interesting to do---fast forward to August in Dallas when it’s unbearably hot and it’s essential to seek out indoor activities! We recently had friends visit from out of town and treated their trip as a mini-staycation, exploring different attractions around town. As the forecast is calling for one of the hottest weeks in the last few years to settle upon Dallas this week, I’m sharing some of our favorite indoor activities for you and your family this week! This may be my son’s new favorite activity! Designed to simulate skydiving, IFly offers kids as little as 5 an opportunity to “fly” in their windtunnel. Each flight provides two-1 minute flights with an option to go “high” on the second flight. A great half day of fun for all ages (I may have even tried it out)! If you love the experience, you can buy additional flights for future use at a discounted price AFTER you finish your session. Need to make this a full day’s worth of fun? Finish your flight and head over to the Dave and Buster’s next door! It’s no surprise that The Perot Museum tops any list of great indoor activiites, but even if you have already been this summer, the new “Ultimate Dinosaurs” exhibit is worth going again! 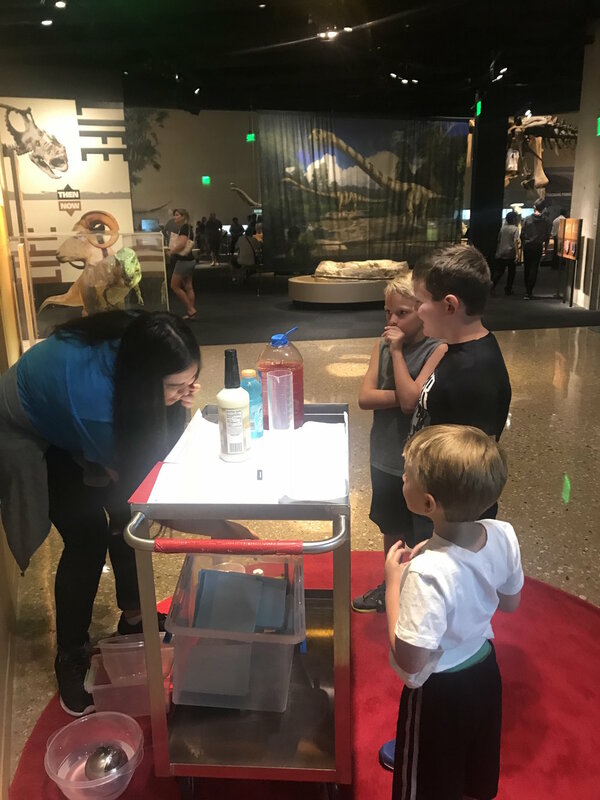 An interactive exhibit on Pangea fascinated everyone in our group and the checklist of activities to complete before leaving the special exhibit kept our kids goal oriented and entertained! Plus, it’s always fun to race the dinosaurs in the SPORTS HALL! No day of science is complete without a trip to one of Dallas’ newest ice cream parlors! Creamistry uses liquid nitrogen to create your ice cream right in front of you! Located on Greenville Avenue, it’s a fun and unique experience - and a perfect treat when it’s 105 degrees outside! I love this place, but it’s not usually our first option for economical bowling with the kiddo. That being said, they are running a fantastic summer promotion! Every Monday-Wednesday, kids can bowl for an hour and get shoes, lunch and a drink for $10! Plus, the happy hour specials from 3-5 are pretty awesome too! I think that makes this a win for everyone! Catch a movie at the Alamo Draft House in Lake Highlands! Have a favorite indoor Dallas activity - we want to know about it! 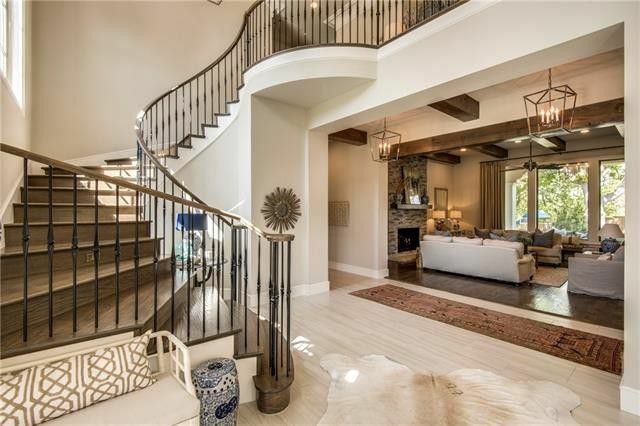 This Mediterranean Transitional in Prosper’s Whitley Place is more than 6,000 square feet of family-friendly space that is also grown up enough for great entertaining. 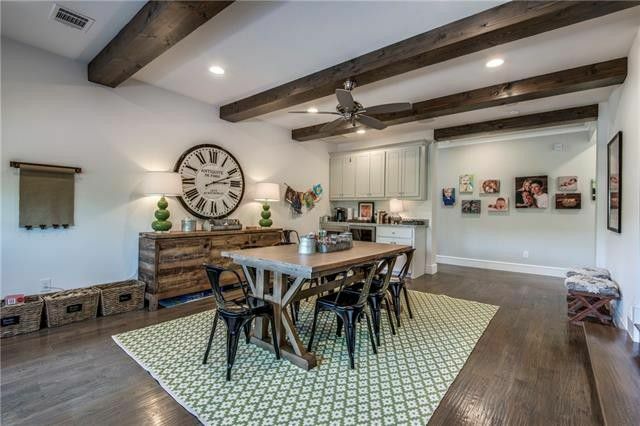 If you’re looking for a custom luxury home, on a one-of-a-kind lot, but also want a neighborhood that is family friendly, you can’t get much more perfect than homes in Whitley Place in Prosper, trust us. 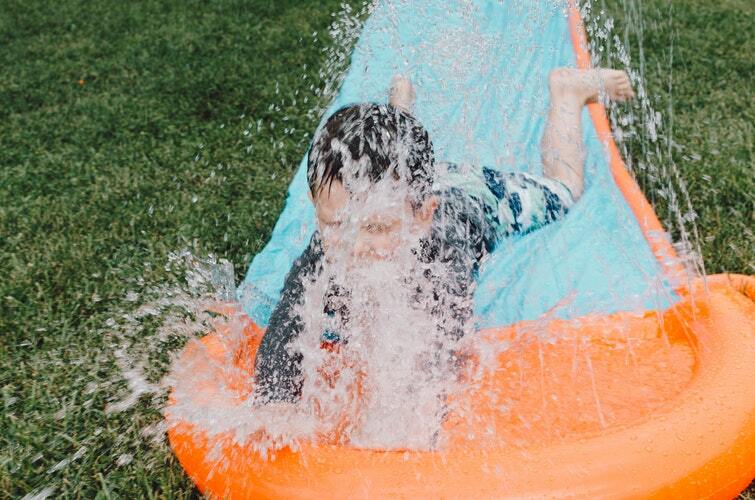 Whitley Place offers some of the best amenities — a community pool, creek, lake pavilion, walking trails, and even a special playground for the tiniest kids (complete with splash pool). And the greenbelt — we can’t rave enough about. A hybrid of park area that was donated by the developers to the Town of Prosper and a private open space owned by the Whitley Place HOA, plenty of green space and trees means family outings are an easy walk from your home. None of that is a surprise, by the way, when you factor in that the developers of Whitley Place — CC Joint Ventures — are also responsible for some of the nicest communities in Southlake and Westlake, too. 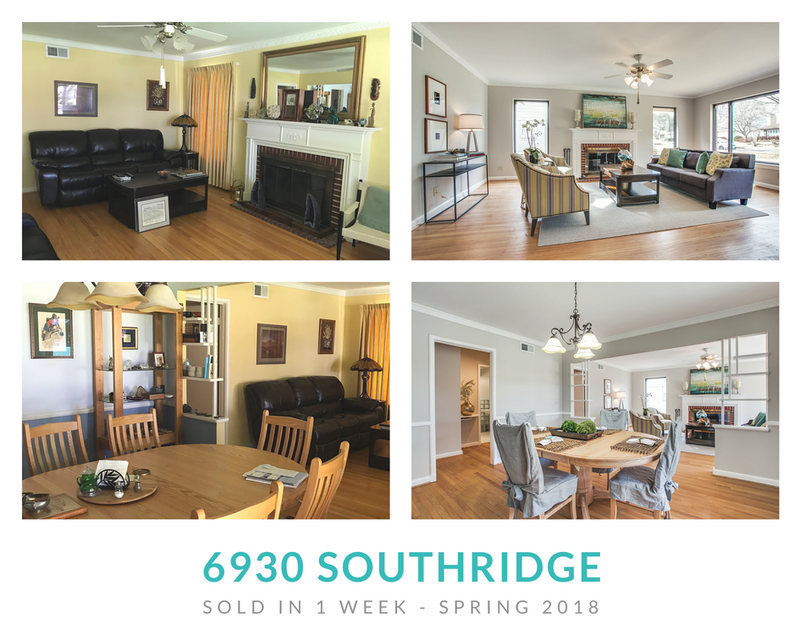 And Haley Wagstaff, member of the Heather Guild Group with Dave Perry-Miller Real Estate, has just the home for you, too — 4221 Glacier Point Court. 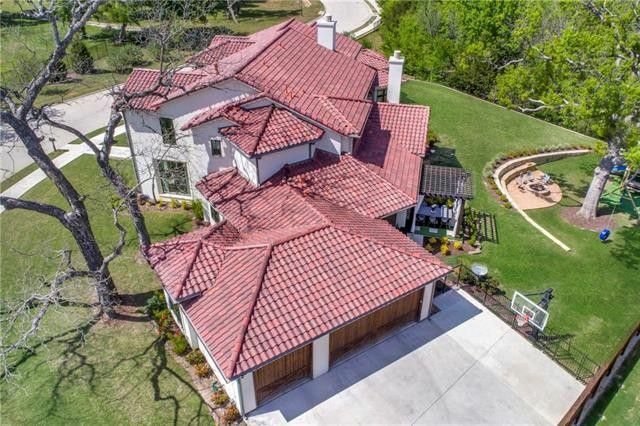 This spacious home at 4221 Glacier Point Court backs up to a lush greenbelt. Listed at $1.75 million, the Mediterranean Transitional is a home you’d be proud to entertain in, but also a home that is kid-friendly — right down to the en-suite bathrooms in all three upstairs bedrooms, which means no fighting over bathroom time on busy school mornings. 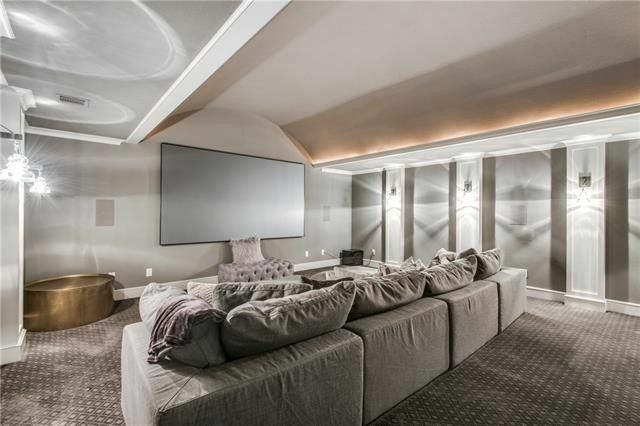 Upstairs also features a large game room and media room. 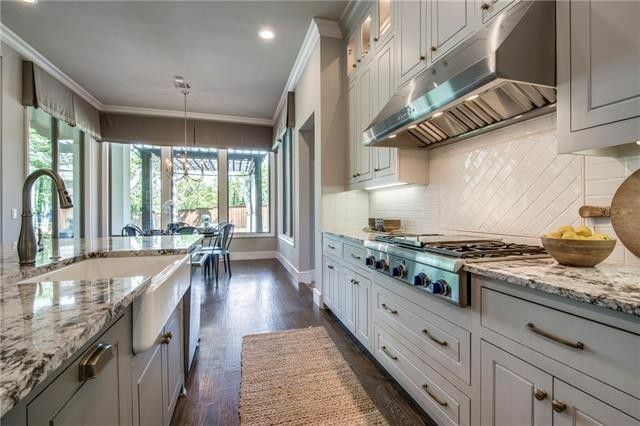 “The spectacular chef’s kitchen boasts two large islands with gorgeous countertops, top-of-the-range Thermador appliances and refrigerator, and designer lighting,” Wagstaff told us. 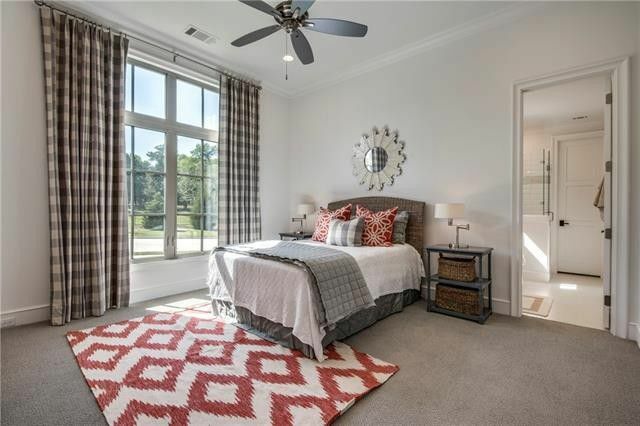 Downstairs also boasts a master bedroom that is truly a retreat. It overlooks the backyard (more on that backyard in a minute) and opens to an en-suite, spacious bathroom with a beverage center, double vanities, and a large walk-in closet. Also downstairs? A great study and a guest bedroom (if you’re keeping count, that’s five bedrooms, five full baths, and one half bath). 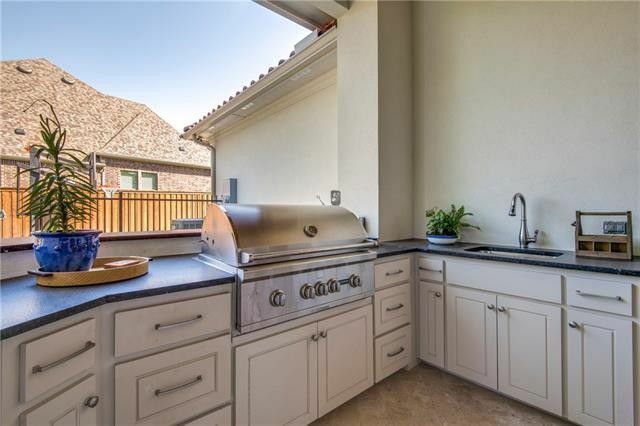 But you don’t have to do all your entertaining inside, either — the backyard offers a whole new option, complete with an outdoor kitchen and gorgeous outdoor living and dining rooms. A fire pit with seating area and a play set complete the family-friendly, entertaining-friendly dream backyard. But the other bonus is that you’ll be living in Prosper (which known by the slogan, “A Place Where Everyone Matters”), a town that first grew up around the Saint Louis and San Francisco Railroad, and then more recently along the tollway extension, U.S. Highway 380, and Preston Road. And Whitley Place has its own spot in Prosper history, sitting on land that once was home to the very beginnings of what would become Prosper, with the Sway Back Union Congregation Cumberland Presbyterian (later the Walnut Grove Presbyterian Church) planting its roots in a white wood frame church in 1852, remaining there until 1994. The former church site is now home to a family who lives in Glacier Point Drive. You can go have family lunches at the Cotton Gin downtown, and stop by Menchie’s for frozen yogurt in the hot summer afternoons. If you work fast, you might even be in your new home in time to take part in the town’s Fourth of July Festivities. And you’re also close to family fun in Frisco as well – from The Star to Roughriders games to MLS soccer matches. And Prosper ISD schools are some of the best in the state, with students routinely winning and placing well in UIL competitions. The home is zoned for Cynthia A. Cockrell Elementary, Lorene Rogers Middle School, and Prosper High. "Heather, Valerie and company did a fantastic job of selling my house. I had an offer within 6 days of my one and only open house in February. I was a little out of sorts with the staging process but it worked exceptionally well. The house looked much different than a bachelor’s interpretation of furnishings. Apparently, it looked a lot better to the general public! 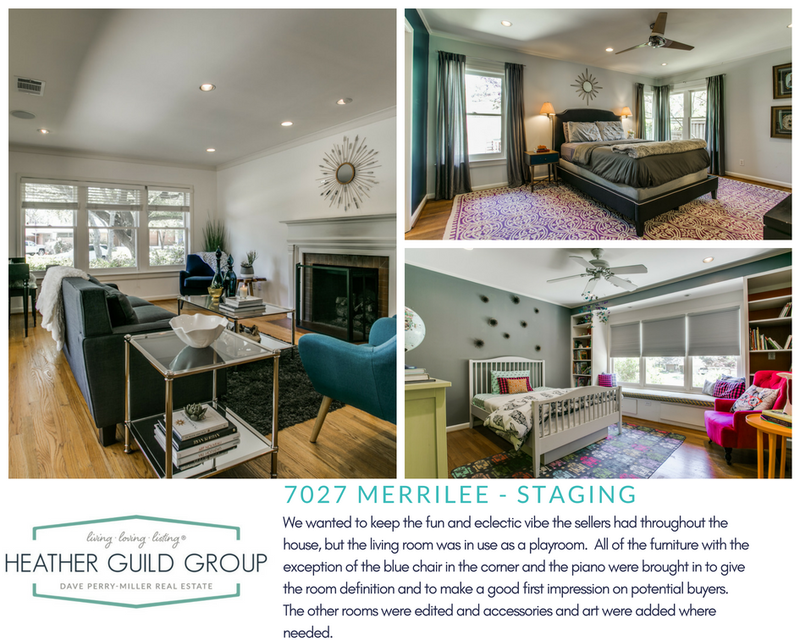 As an added value, we offer complimentary staging services to our clients. 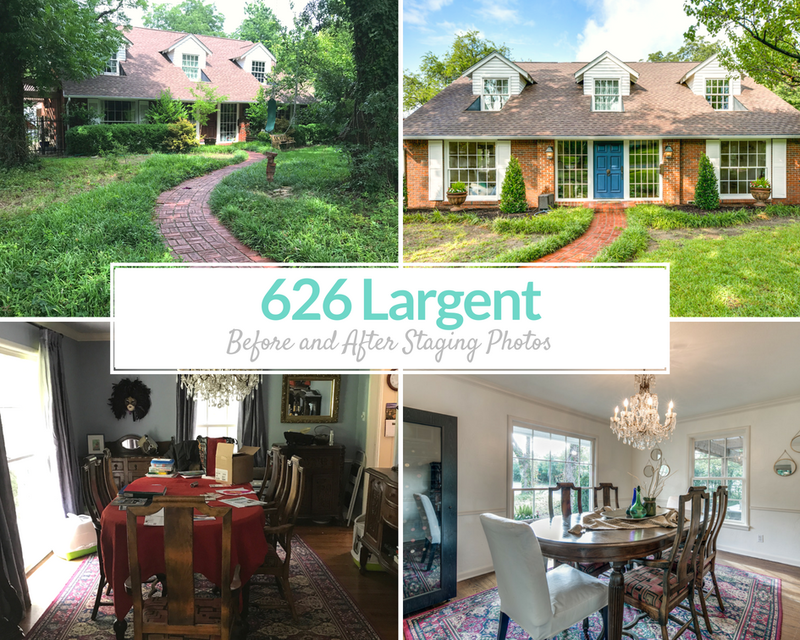 Curious how much staging makes a difference, check out some of these before and after photos. Contact us and let us go to work selling your house for the maximum price possible. Do your kids like to dance? Do you? If you haven't attended a Disco Kids night at It'll Do, you have to add this to your family "bucket list". At only $5 per child this a great night for all to strut their stuff on a light-up dance floor to the sound of lots of great music. 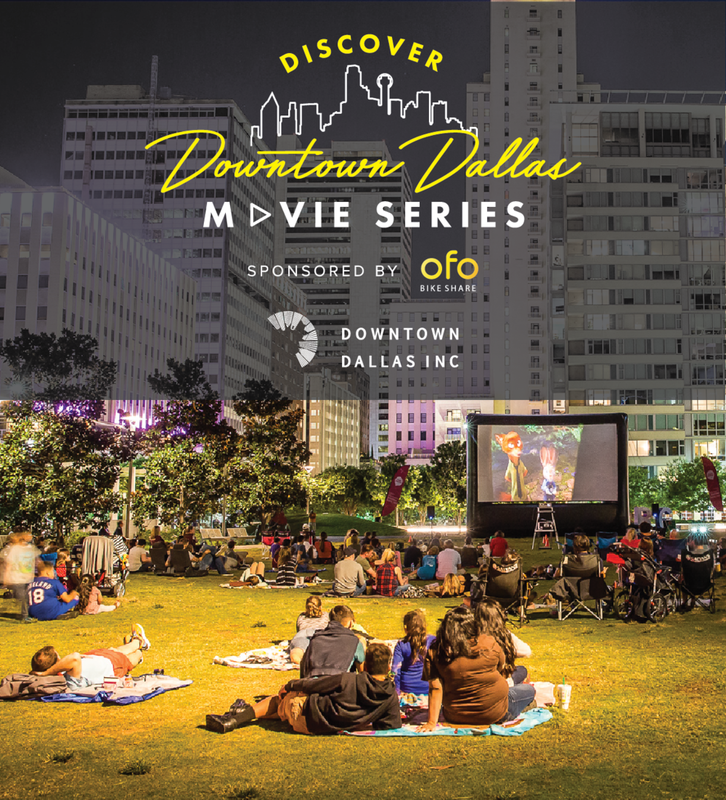 Catch a FREE movie under the stars at the Dallas Farmers Market. Come early and grab a bite at The Market. Bring lawn chairs or a blanket. Whether you're a science buff or just have a curious mind, the world-class Perot Museum offers a treasure trove of goodies that are certain to fascinate visitors of any age. 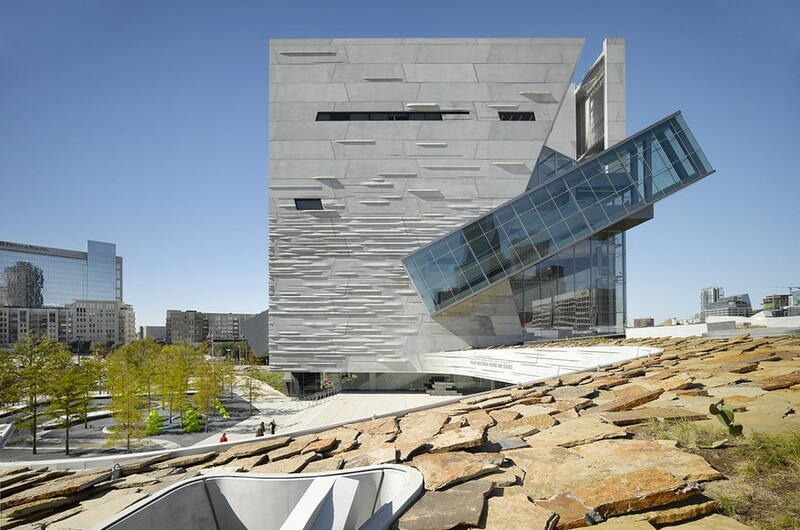 Opened in 2012, this stunning 180,000-square-foot architectural gem, designed by Pritzker Architecture Prize Laureate Thom Mayne and his firm, Morphosis-- features five floors of mind-blowing exhibit halls filled with hands-on activities, interactive kiosks and a state-of-the-art multimedia cinema. Highlights include a children's museum with a dinosaur dig, a hall of gems and minerals with a 5-foot geode and an earth hall where you can experience an earthquake. Not to be missed is the Texas Instruments Engineering and Innovation Hall where explorers can build robots and create their own digital music. A good way to start is to take the external glass escalator up to the top and work your way down while enjoying the panoramic views of downtown Dallas. Led by docents from the George W. Bush Presidential Library and Museum, the free guided walking tours take visitors through the one-mile network of trails on the Bush Center’s grounds. The tour showcases bluebonnets and other native wildflowers along with a variety of native plants and grasses, migrating butterflies and birds. The free docent guided tours are offered Saturdays at 10 and 11 a.m. until June 2. Space is limited and tours are offered on a first come, first served basis. Self-guided tours of the grounds are free every day from sunrise to sunset. This living history village, located in one of the city's oldest parks on the southeastern edge of downtown-- allows visitors to experience what life was like in North Texas during the 19th and early 20th centuries. The village is comprised of thirty-eight restored and fully furnished buildings, some of which include-- a log cabin, a Greek Revival style mansion, a school house, a shotgun house and a farmstead. Kids will especially like the general store where they can weigh products, wrap up merchandise and sit around an old stove playing a game of checkers. Adding to the atmosphere are costumed docents, live farm animals and a host of recurring events, ranging from mock gunfights to historical reenactments. Nestled inside a massive refurbished warehouse in Dallas' Historic West End District, this privately-owned aquatic wonderland is home to countless varieties of marine life (many of which are endangered) from all over the world. In addition to stingrays, piranhas, electric eels, poison dart frogs and Orinoco crocodiles, the aquarium boasts a 20,000-gallon walk-through exhibit brimming with hundreds of Indo-Pacific fish-- as well as a forty-foot long glassed-in tunnel filled with sharks circling overhead. But there's more than fish that meets the eye, visitors can commune with everything from three-toed sloths, manatees and giant river otters to penguins, snakes, tree kangaroos and even a few jaguars. There's also a lush three-level (seven stories in height) recreated South American rain-forest-- complete with free-flying birds, pink flamingos, monkeys and a 40-foot waterfall. Not-to-be-missed are the talks and feeding sessions held throughout the day. Be sure to check the website schedule before you go. Looking something HIPPITY and HOPPITY to do this Easter weekend? The Heather Guild Group Blog has gathered some exciting Easter events in the Dallas / Fort Worth area! Take a look below to find something fabulous and fun for all ages. Dallas-based interior decorator Angela Jackson gives us her top 5 trends for 2018. 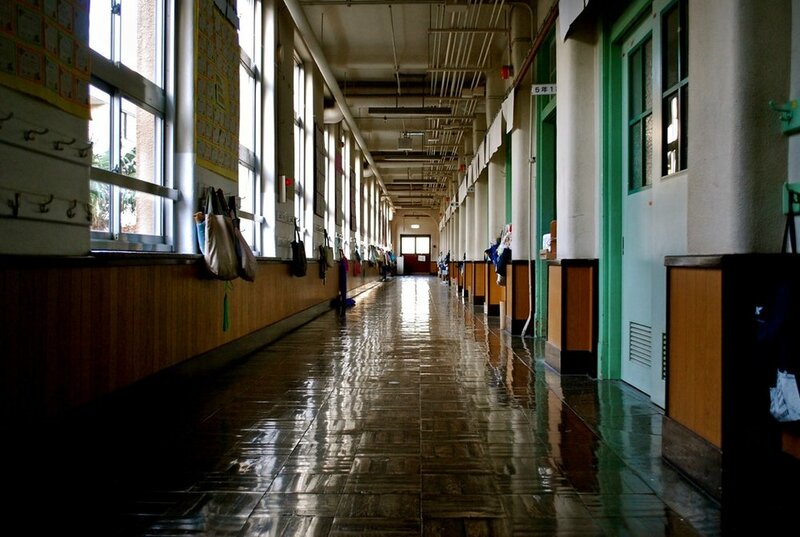 PUBLIC SCHOOLS… DO WE STAY OR DO WE GO? At my core, I believe that our community as a whole is better served when everyone’s child (not just mine) gets a quality education. And, along those lines, I believe there are those less willing and able to speak out for themselves that are better served when I add my voice to the community (in this case DISD) in which we are all a part. But this year, my beliefs have been at war with my heart and mind, which has been embarrassing for someone who has been vocally supportive of public education for so long. In short, it came time for me to practice what I preached…and I paused. This kid starts kindergarten in the fall. He has a bright mind, full of questions about how things work, why they work that way and he is always looking for a new “project”. I want his brain to be challenged, his heart to be nurtured and his perception of reality to include as much of a complete and full view of the world as we are able to give him. Can over crowded schools in run down buildings provide a back drop for a thriving learning environment? Or is he himself becoming the statistic I want him to be aware of that not all children are able to go to school in safe, clean schools. You know the mom speech…”You are lucky, not all kids get to do X”. One one hand, I find myself excited by the promise I see on the horizon at DISD. We are a city on the brink of great change within our public school system…if we don’t screw it up. I’m excited by the leadership of Mike Miles and his “Choice Schools” proposal…and then I come across things like this. I’m told that my child is considered less worthy of needed facility funds because we have a school with few students on free and reduced lunch. Or to paraphrase a speaker I recently heard, DISD wants to keep the parents of the top schools just happy enough they don’t leave while bringing other schools up to par. I thought about this approach in the context of my marriage. What if I kept my husband just happy enough that he didn’t want to leave? What kind of life am I setting him up for? One where he will thrive and succeed? Or one where he will just get by? is to all of our benefit if my child, her child, his child and their child all receive the first-class quality education that I know DISD can provide. If that’s their focus. Please don’t let us down. Please don’t make us go. We want to stay. And, we would like for our children to stay in buildings with adequate facilities. Their basic needs should be met. Safety should not be a concern for parents…not in Lakewood, not in West Dallas, North Dallas, Oak Cliff or Oaklawn.